Fix 1,2x ratio magnification for short distance shooting or for snap-shooting, then rotate to 6x to provide more precise aiming. Can be compared to a RedDot sight, but has got advantages of 6x magnification rifle scope. 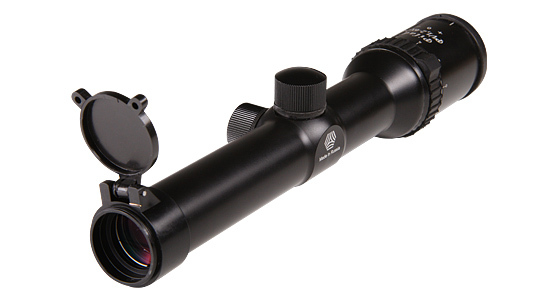 The scope features longer distance from the edge of the lens to the eye of a hunter (105 mm).